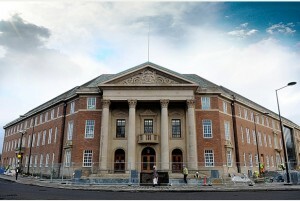 National “Local Government and the Climate Agenda” seminar to be held in Derby on Jan 11. This event is being organised by Derby Climate Coalition. The meeting is being supported by the ACT! Alliance, the Low Carbon Communities Network (LCCN) , the Midlands Co-Operative Movement and the Campaign against Climate Change. Chris Church from LCCN, Charles Secrett from ACT!, an Officer from Derby City Council, Darren Hall member of the Bristol Green Capital of Europe 2015 team and officers from the Campaign against Climate Change will be taking part. Activists from Brent, Manchester and Sheffield will also be there. Phone 07876595993 for more information. 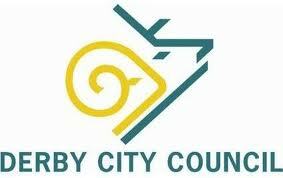 The Derby City Climate Strategy has been published earlier in the month. We will be looking at this, and what other councils are doing. Despite the gravity of the climate situation we have seen national and local government under-cutting commitments to combating climate change. Without a national lead, coupled with massive attacks upon funding and resources, local governments are also finding it hard to ensure that the climate message is being heard and hard to sustain related activities. This is despite the opportunities for growth in the green economy. Learning from Bristol, European Green Capital for 2015: Introduced by a member of the 2015 team. Looking at examples of Local Government Climate strategies. Fracking and local government: success in getting local government to oppose fracking. Empowering local government: the need for a political campaign. 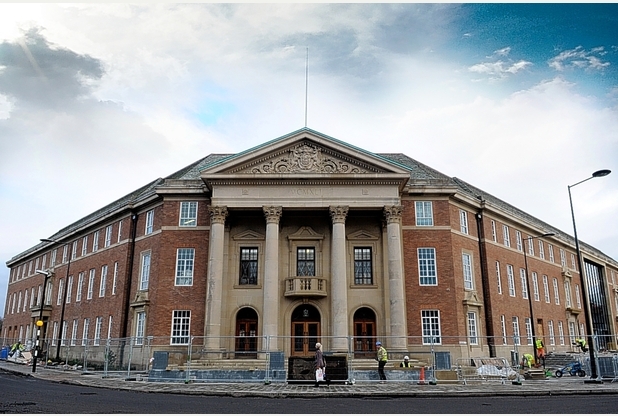 Derby’s Citywide Climate Strategy, which aims to tackle climate change, was given the go-ahead by Derby City Council’s cabinet on November 6. The strategy lists broad plans aimed at meeting nationally set targets for an 80% cut in emissions by 2050, compared with 1990 levels. But it says that, despite a positive decrease in emissions, predictions are that the city will not reach its target of an 18% reduction in 2008 levels by 2020. Two days before the Derby Telegraph said that the A STRATEGY for how Derby will cut its carbon emissions has been dubbed “toothless” by climate change campaigners. At Climate Coalition Steering group meeting on November 7 we stressed that the quote from 4 November was not meant as a personal attack, rather that with the removal of national targets and the pre-occupation with dealing with austerity meant that Councils are under huge pressure to protect core services at the expense of those they regard as more marginal. Climate mitigation and adaptation are largely falling into this category, both at national and local level – largely because the long term costs and opportunities are not understood. The question is “How do we help Local Authorities understand the implications of this short term thinking as well as selling the benefits of long term community resilience and green jobs?”.